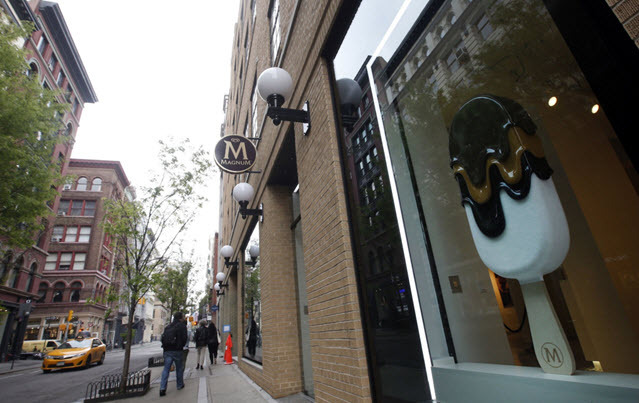 Magnum Ice Cream has opened its first store in the U.S. in New York's SoHo neighborhood. Magnum has stores in over 30 countries around the world. Magnum plans to launch 25 pop-up stores around the world this year. 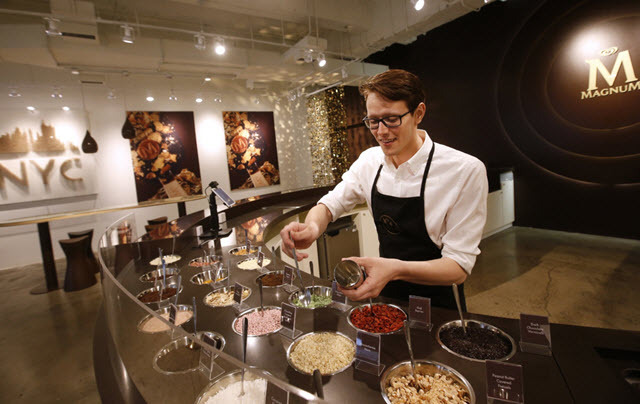 The new store features a dipping bar where customers can create custom Magnum ice cream bars. Guests can choose from 20 premium ingredients for their ice cream bars including rose petals, espresso sugar, coconut flakes, goji berries and choppped hazelnuts. The New York City store also featured curated decor and furnishings. These include art installations such as the New York City skyline made out of wooden ice cream bar sticks. There is also a collection of bejeweled Magnum bars. Nick Soukas, Brand Building Director of Unilever Ice Cream in the U.S., says in a statement, "Since its introduction to the U.S. in 2011, Magnum Ice Cream set itself apart with expert craftsmanship and premium ingredients. 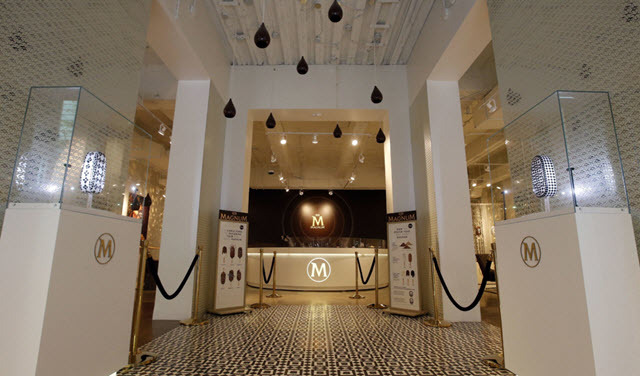 Now, Magnum New York will bring together the worlds of premium chocolate and ice cream in an indulgent and interactive store experience unlike any other."